Will Jay Leno appear as a guest on Letterman's 'Late Show'? 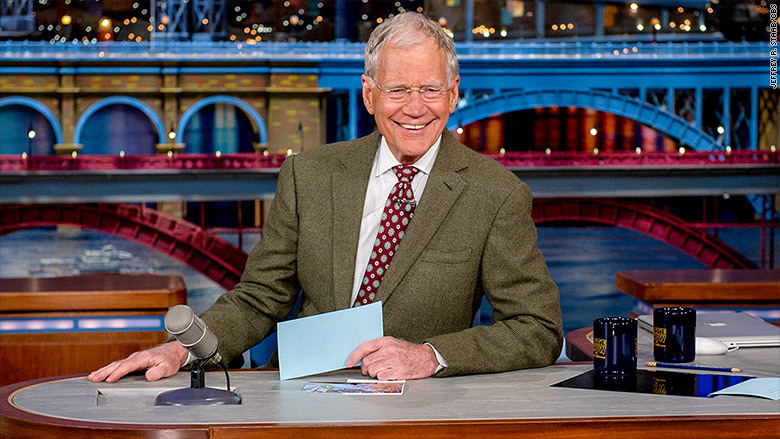 Letterman has sent an invite to Leno to appear before his final show. David Letterman has many big name guests lined up for "The Late Show" before he signs off for the last time on May 20. But one name that's still up in the air is apparently Jay Leno, former host of the "Tonight Show." During an off-air pre-show Q&A with his audience on Monday, Letterman said an invite had been sent to Leno, according to a person who was in the audience. The wooing is ongoing: Letterman's producers reached out to Leno recently with a renewed offer to appear. However, there's apparently been no word from Leno's camp. If "The Late Show" is able to book the former "Tonight Show" host it has the potential to turn Leno's appearance into event television. Since the early 90's much has been made about the relationship between the two legendary late night hosts who competed with each other for viewers for about two decades. If it happens, it would be Leno's first appearance on Letterman's show since 1992. The two appeared on TV again together in a 2010 Super Bowl spot. Speculation has been rife about Leno's appearance in the show, with stories appearing as early as January. Dave Itzkoff of The New York Times was the first to tweet about Letterman's Monday Q&A. Leno has said in the past that he wasn't opposed to appearing on Letterman's show. "I did Dave's show a million times," Leno told Extra last year. "I would probably do his show again, sure." Even though Leno would be a huge get for "The Late Show," it would likely pale in comparison to another potential guest Letterman mentioned on Monday: embattled NBC News anchor Brian Williams. During the same Q&A, Letterman said Williams has a standing offer to come on the show anytime he wants. That appearance seems highly unlikely considering that Williams has been barred from speaking to the press without permission while he serves out a 6-month suspension for exaggerating stories from his 2003 Iraq War coverage. If Williams did appear it would come with a good amount of irony given that a fair amount of embellishing of the Iraq story happened on the "Late Show" when he appeared as a guest in 2013. Leno's representatives couldn't be reached for comment.